Cobham Aerospace Communications and Inmarsat today announce the launch of SB-Helo X-Stream helicopter satcom solution for Cobham AVIATOR SP systems. The new system will improve communications through rotor blades by reducing packet loss by up to 40%. Few solutions exist in the market to transmit data such as video imagery to a satellite network in the same way as is possible from fixed wing aircraft. This is due to the interference caused by the rotors, which leads to intermittent, jittery data streams and distorted video at the receiving station. After extensive testing, Inmarsat and Cobham have developed a protocol in network Quality of Service (QoS) selection, as an enhancement of the Swiftbroadband X-Stream service; one of Inmarsat’s streaming services offering guaranteed on-demand high-streaming data rates over its L-band network. 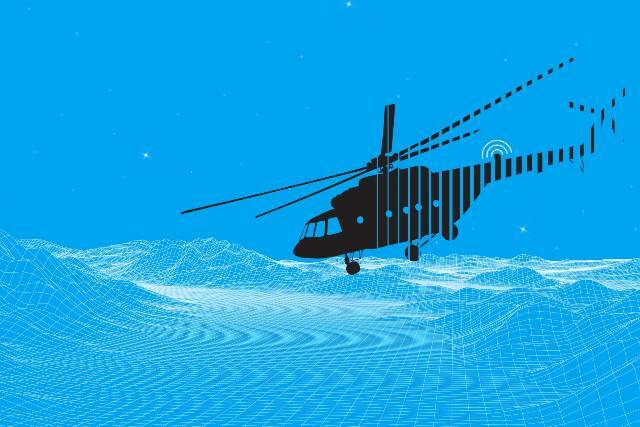 This allows data from rotary wing aircraft to be transmitted to the Inmarsat satellite network, via dedicated modulation schemes. The increased resilience of the data pipeline passing through the rotors means that the transmission of high intensity data, like video, will see an improvement in throughput of around 37%. The free of charge software update will allow a helicopter operating from a remote location to transmit a significantly improved video or data stream. This capability is crucial for organisations operating rotary wing aircraft in specialised roles such as search and rescue, medical evacuation and military forces.